If you are a Redditor, you know how important subreddits are. For those who might be new to Reddit, subreddits are the different forums or groups within the website. These forums are created by the users and can be about anything or any topic. While Reddit starts you off with some default subscriptions to a few subreddits, they don't make it too easy to find the good ones. Subscribing to subreddits that interest you are what will make or break your experience on the website. 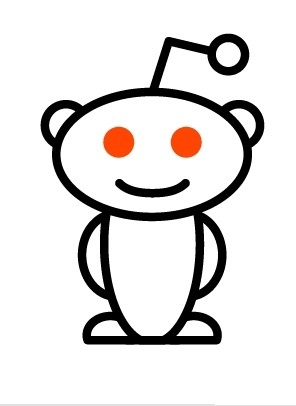 Below, you will find some of the best subreddits worth checking out. /r/Pics and /r/Videos are 2 huge subreddits which are pretty self explanatory. Images and videos are some of the staples on the internet and these 2 groups will help you find the new submissions that are popular and will probably end up being talked about among friends and end up on the news later that week. /r/News - Pretty self explanatory. Good for staying informed on what is going on in the world. /r/BestOf - A recap of some of the best contributions to Reddit each day. /r/Funny is another huge group that is a recommended if you enjoy a quick laugh. It mostly consists of funny pictures found on the internet. /r/ContagiousLaughter. Laughter is contagious and this subreddit is proof of that. Check out the top submissions and you are sure to be cracking up in no time. /r/FirstWorldProblems. A fun take on the types of problems those who are privileged and seem to have it all encounter in their daily lives. /r/MadeMeSmile - Not so much funny, but things that are sure to brighten your day. /r/MildlyInteresting. Like the title says, these post are about things spotted that are mildly interesting and more times than not, actually very interesting. /r/DoesAnybodyElse. A place where people post about their unique quirks and find out if anyone else is the same way. A fun place to discover how different or how much the same we all are. /r/AskReddit . Have a question or need some quick advice? AskReddit is another huge subreddit where you can ask the community anything and get answers from other users. /r/iAmA is a place where people state who they are or what they do and then they answer questions that are submitted. These can be very interesting depending on who is hosting them. Often it is famous people or people who have interesting jobs or experiences. /r/DataIsBeautiful Educational and interesting stats, charts, maps, and surveys. /r/IRLEasterEggs Pictures of interesting things found creatively placed in unexpected locations. /r/LifeProTips and /r/YouShouldKnow will give you advice on how to live better. They provide tips that will make things easier and improve your life in ways you never expected. /r/TodayILearned. People learn interesting facts and things everyday. This is the place to share and read about them. /r/NoStupidQuestions A lot like /r/AskReddit. /r/Frugal is a great place to learn about how to stretch those dollars and make the most of your earnings. In times like these, everyone can use some tips on how to save money. /r/WhatIsThisThing. Have you found something but you have no idea what it is or what it is for? This sub-reddit is for you! /r/Documentaries is a great place to find some of the best documentary films on the web. Sort by popularity to find the best ones and discuss them with other users in the comments section. /r/NetflixBestOf Recommendations and discussions for the best shows and movies on Netflix. /r/ListenToThis is a good place to find new music that is not popular yet. Do you know of a great band or artist that has not made it big yet? Share their music here. /r/UpliftingNews/ - Positive news stories that are inspirational and make you feel good! A nice change of pace from what you usually see covered on the news. /r/JusticePorn. Do you like when bad people get what they deserve? This one is the place where justice is served. /r/Travel Some of the best pictures from travel destinations around the world. /r/Technology. Stay up to date with the newest technology related news and discussion with this one. /r/CrazyIdeas. They are not actually crazy, in fact, the ideas posted here are some of the most amazing ones you will find and will make you ask yourself, "Why didn't I think of that?" /r/TIFU Stories people share about times when they messed up. /r/InternetIsBeautiful/ - Random interesting websites that you probably have never seen or heard about before. For a big list of subreddits sorted by subscribers and popularity, check out Reddit List. Also check out our Funniest Stories on Reddit Post! Do you know of some good subreddits that are not on this list? Share them below in the comments section. I'm around the age where it is acceptable to get married and have kids, but I have choose not to do either of these things. There are a few reasons why I would not want to have kids. One reasons is the enormous responsibility. Another is the unpredictability of what your child will be like. And the third reason is that life is too hard and just not good enough. I'll explain all of these reasons in detail below. Having a kid is a big responsibility in terms of commitment and time, not to mention the financial aspect of it. When you have a child, you are pretty much saying that you are going to take care of this child and be a parent to him or her for at least the next 18 years. That is a long time! You are responsible to provide for them and make sure they have a good life as they grow up. Taking care of yourself is hard enough, but throw in another person and you are working twice as hard. There is so much uncertainty when having a child. You don't know if it is going to be a boy or a girl. You don't know how he or she is going to turn out. You don't really know how it will affect your life if it is your first child. People assume their child will be born healthy, but many babies are born with medical problems or disabilities. As mentioned before, life is hard enough even when you don't have any significant problems to overcome, but throw in a mental or physical disability and it makes it much more difficult. You are really taking a chance and rolling the dice when you decide to have a child. You hope for the best, but you never know what you are going to get. The last reason for not having kids is the fact that life is too hard and not good enough. This is a depressing reason but there are so many bad things and negativity in the world that it would be unfair to bring someone into it and subject them to these things. I realize this may be a controversial reason and there can be a lot of discussion about it. I think the world needs to be a better place to live and the living situation needs to be very good before deciding to bring a child into the world. What about the flip side? One might ask, "Haven't you ever seen a baby and wished you had one of your own"? This has not happened often, but I have worked with young children in the past and it has made me consider this question. In moments like that, I have thought about what it would be like to raise a child of my own, but all things considered, I still would decide against it. I would be more willing to help someone else raise a child by assisting with babysitting. This would provide a similar experience without all the pressure and commitment of having your own child. What are your thoughts on weather or not to have kids? Share your thoughts in the comments below.